Dispatch when item was click. And Insert the following code into your html inside <head></head> tag. 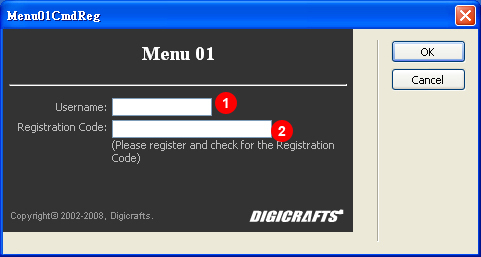 Choose Menu 01 from the Insertbar and this interface will display. 1. Items Alignment - The vertical alignment of items in the menu. 2. Item Scale - The scale of items when they move to front. 3. 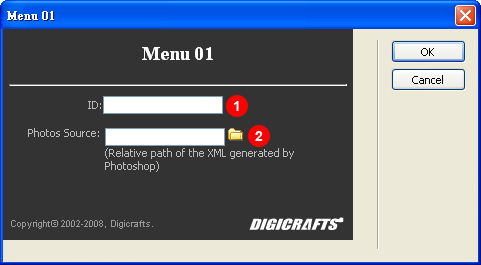 X Radius - Set the X radius of the rotation path of the Menu. 4. 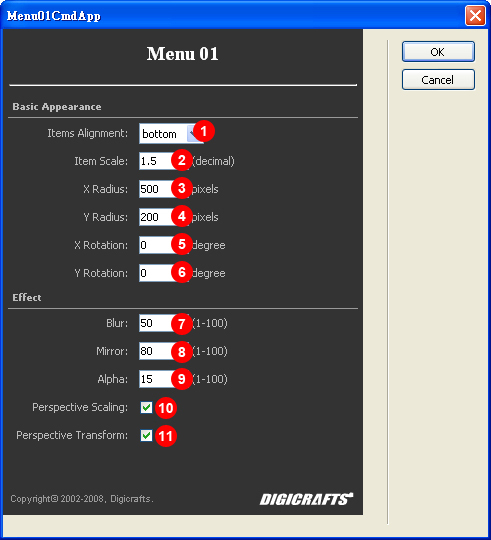 Y Radius - Set the Y radius of the rotation path of the Menu. 5. 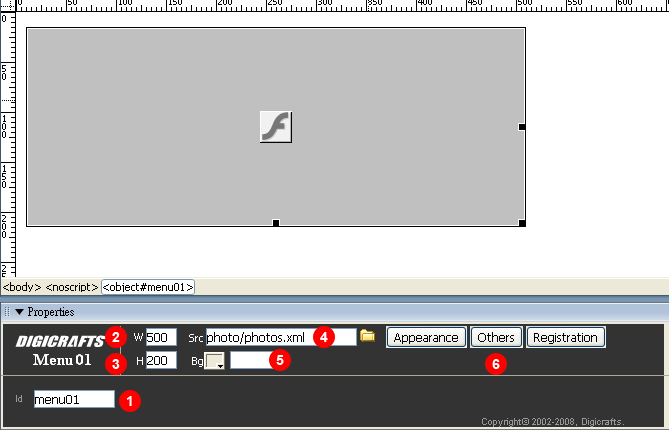 X Rotation - Set the X angle of the rotation path of the Menu. 6. Y Rotation - Set the Y angle of the rotation path of the Menu. 7. Blur - Amount of blur of the back items. 8. Mirror - Mirror effect of the items. 9. Alpha - Alpha amount of the back items. 10. Perspective Scaling - Enable perspective scaling of the side items. 11. Perspective Transform - Enable perspective transform of the side items. 1. Mouse Gesture for Rotation - The direction of items move when mouse over. 2. Rotation Acceleration - Speed of items move when mouse over. 3. Speed Limit - Maximum speed of items move. 4. 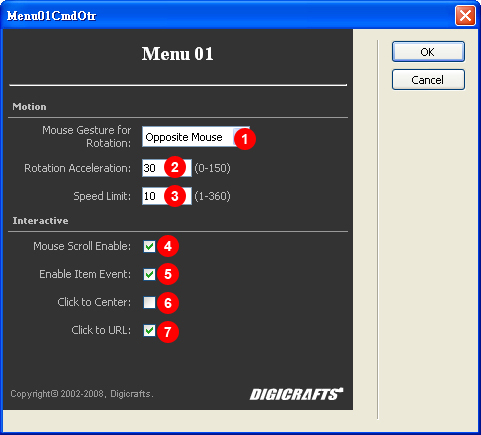 Mouse Scroll Enable - Tick to enable the mouse scroll wheel control. 6. Click to Center - Move the item to center when user click on it.